Why aren’t people with kidney disease told about their condition? I would have thought it was a basic right but there is a lot of evidence that there is systematic secrecy on the issue of kidney disease across the NHS. Personally, I would be pretty annoyed if I found out I was on a chronic disease register and hadn’t been told. That wouldn’t feel much like a patient-centred service with quality as its organising principle! There are now over 2 million people in the UK on primary care CKD registers which is about 4.3% of the adult population. 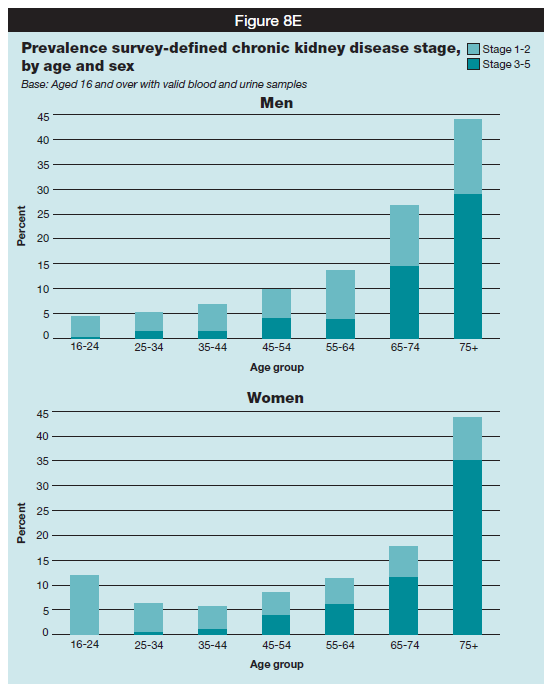 When Health Survey England, supported by NHS Kidney Care, asked people if they were known to have kidney disease only 1% of men and 1.3% of women reported having been told by their doctors that they had kidney disease; and I don’t think the practise nurses had told them separately. 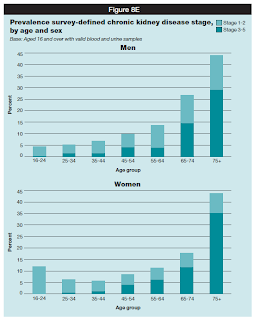 Even in the over 75 years age-group only 2.7% of men 3.4% of women knew they had the condition. 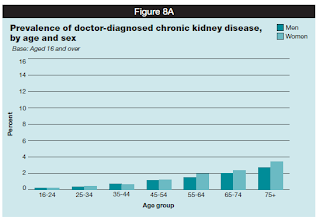 Yet, when Health Survey England tested kidney function in that age-group, 29% of men and 35% of women were found to have CKD stage 3-5 or an estimated GFR of less than 60 and a further 15% of men and 8% of women had significant proteinuria. I have been using that slide since before the renal strategy was published and have periodically changed the central segment. The first time I used it I put the Chief Medical Officer in as a key enabler, the second time the Quality and Outcomes Framework went in to make the case for a CKD domain in the primary care pay for performance system. Shared decision making – the importance of a partnership approach to health has held pride of place for a while. 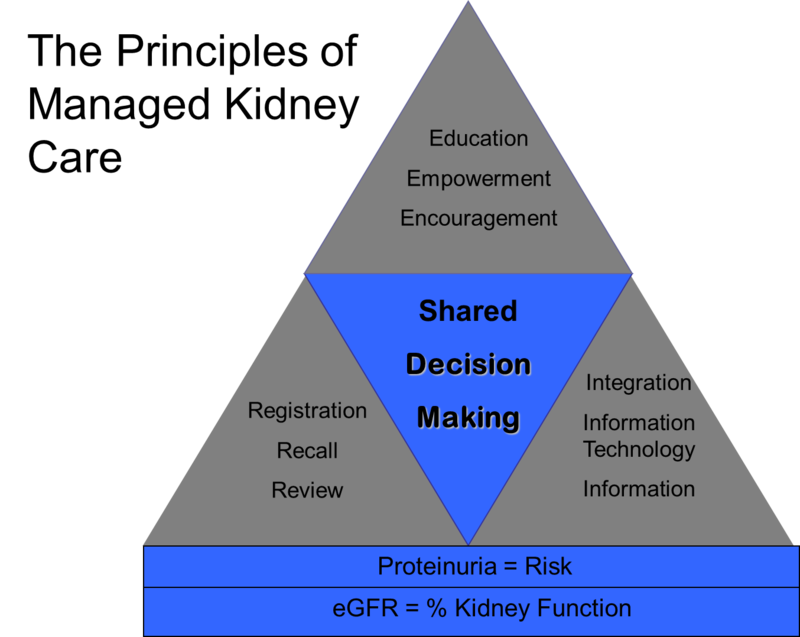 How can we educate, empower and encourage the behavioural changes necessary to reduce vascular and progressive kidney disease risk, let alone be in a partnership with people who don’t even know they have kidney disease? I would like to see the Quality and Outcomes Framework change to provide more of a focus on what patients are told and how they are involved in supporting their own health. That would provide encouragement by financially rewarding GPs to involve patients and the public more in the understanding of health, disease and risk. But we also need to understand why we are in this situation in the first place. Why are we so secretive? Why do we hide information from patients?